From the point of view of Iceland, Britain’s departure from the European Union offers an opportunity to further increase the levels of co-operation between the two countries. While Iceland and Britain have had their quarrels in the past as so many other countries, for example over things like fish and banking, they also have a long history of mutually beneficial cooperation – especially regarding trade. During the 15th and 16th century, when Iceland was part of the Kingdom of Denmark, English traders were in fact responsible for bringing the benefits of free trade to Icelanders with higher prices until the Danish authorities finally managed to put an end to that through force after many previous attempts. Henceforth Icelanders were only allowed to trade with those with a special permit from the Danish king. Trade remains the most important sector regarding co-operation between Iceland and Britain; and while Brexit is considered a challenge when it comes to maintaining close relations between the two countries, the Icelandic government also sees Britain leaving the EU as a great opportunity to build further ties than has been possible while Britain has been bound by EU rules and customs. Following the 2016 EU referendum, Iceland was the first country to formally offer Britain a trade agreement. A few hours after the final results were declared the Icelandic government announced it would explore every possibility to maintain strong economic and trade relations with Britain after the country left the EU. Since, countries all over the world have queued up for a trade deal with Britain. Foreign Minister Gudlaugur Thor Thordarson has on many occasions, since first taking office in January 2017, spoken of Brexit as an opportunity for Iceland and Britain to take the co-operation between the two countries further than has been possible under the current agreements negotiated with Iceland by Brussels with freer trade and less barriers. Mutually favourable deals are now a possibility. The departure of Britain from the EU has been a priority task in Iceland’s Foreign Ministry ever since the 2016 EU referendum. 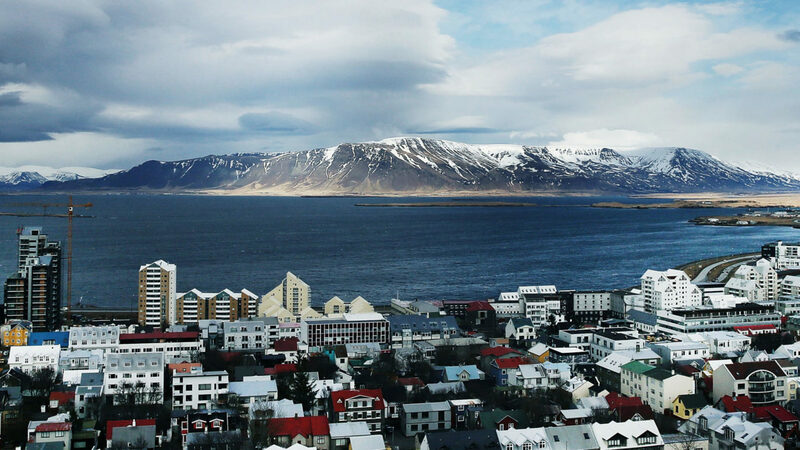 Britain is Iceland’s single most important foreign market and trade between the countries is currently governed by the European Economic Area (EEA) agreement. When Britain leaves the EU the country will also cease to be part of the EEA according to the agreement. The Foreign Ministry produced a report on Brexit and Iceland in November last year underlining what has been mentioned earlier. The report is in general terms very positive towards Brexit and puts more emphasis on viewing it as an opportunity than in a negative light. When it comes to the future trading relationship between Iceland and Britain after Brexit the report presented three possible scenarios. The first scenario suggests a deep and comprehensive Iceland-UK free trade agreement, the second scenario a free trade deal between EFTA (which Iceland belongs to along with Norway, Switzerland and Liechtenstein) and Britain, and the third scenario considers the option where a possible Brexit agreement negotiated between Britain and the EU takes the EEA Agreement into account. What Foreign Minister Thordarson has also put emphasis on is the (formerly?) stated aim of the British Government that Britain should take on a leading role after Brexit when it comes to free trade. Especially today when protectionism seems to be gaining ground in the world and the future of free trade is becoming more uncertain. Those circumstances indeed certainly need a global free trade leader. Thordarson has on several occasions urged the British government to consider rejoining the European Free Trade Association (EFTA), which consists of Iceland, Norway, Liechtenstein and Switzerland and was founded at Britain’s initiative in 1960 as a free trade alternative to the EU, but without mentioning the European Economic Area (EEA) in that context, the so-called Norway option. Iceland’s top diplomat has also put great emphasis on explaining the difference between EFTA and the EEA. While EFTA is about maintaining a free trade area between its members and striking free trade agreements with third countries, the EEA is an agreement between three of the four EFTA members, Iceland, Norway and Liechtenstein, and the EU about participation in the bloc’s inner market. This means that the three EFTA/EEA countries are required to unilaterally adopt EU Single Market rules, are in fact subjects to the jurisdiction of the European Court of Justice (ECJ) and must allow free movement of people from the bloc.6 As the 2016 referendum was mainly about taking back control the EEA and similar arrangements, including Chequers, would obviously not deliver what was voted for. While the EEA Agreement doesn’t prevent the EFTA/EEA countries from negotiating free trade deals with other countries, as they are not part of the EU’s customs union, such negotiations are nevertheless marked by the requirement to adopt EU rules which for obvious reasons does significantly limit their scope for dialogue. Therefore EFTA membership minus the EEA may not either suit Britain’s interests. What Brussels wants of course, as is evident from the Brexit negotiations, is for Britain to remain under its control as much as possible. But to honour the results of the 2016 referendum and to be able to strike free trade agreements with countries all over the world without being dictated by EU rules, Britain evidently must not be a subject to authority from Brussels in any way after leaving the bloc. What Brussels obviously fears most about Brexit, apart from more countries leaving the EU after witnessing the success which can be achieved by throwing off its shackles, is that Brexit will indeed be successful and that Britain will furthermore become the much needed leader of global free trade, independent of authority from Brussels, that the Icelandic government and so many others hope it will. Hjörtur J. Gudmundsson is an Icelandic journalist and former member of the Foreign Affairs Committee of the Conservative Independence Party.